This weekend, Santa Paws 2: The Santa Pups helps you kick off your family’s holiday season with actress Cheryl Ladd’s pumpkin pie recipe along with Kaitlyn Maher’s adorable rendition of “Silent Night” from the film. 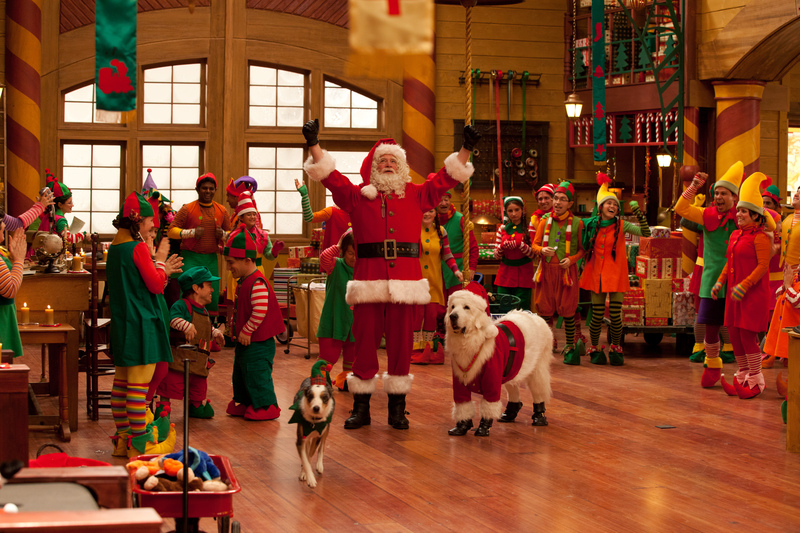 Santa Paws 2: The Santa Pups will be available on Blu-ray, DVD and Digital Download on Tuesday November 20! What’s better than some holiday baking and festive music? Adding adorable puppies to the mix, of course! Enjoy and happy holidays! In just 4 days, on Nov 20 a new litter of pups arrives in time for the holidays. These rascally Santa pups will delight and entertain you and your young ones setting the mood for the season. The tale is funny and will warm your heart. My boys and I laughed and giggled at the hilarious antics of these Pyrenees pups. I love a movie that is entertaining for adults as well as children since we have to watch them too! Watch and see how these four pups save Christmas! The North Pole has a new litter of playful pups! However, when the frisky foursome—Hope, Jingle, Charity and Noble—practically destroy Santa’s Workshop with their mischievous gamboling, they realize the best way to prove that they’re responsible enough to become Santa’s Helpers is to show how well they can spread the Christmas spirit all by themselves. With help from a magic crystal, they start granting everyone’s wishes. But their good intentions backfire when one unhappy boy asks that Christmas go away forever! With his wish impetuously fulfilled, and the joyous spirit quickly disappearing from the planet, Mrs. Claus and the pups have to find a way to reverse the spell—or risk losing Christmas forever! Stay connected with the latest news and information about “Santa Paws 2: TheSanta Pups.” on Facebook and View exciting trailers, games, video clips and more at Disney.com/SantaPups. Audio started playing when I opened up this web-site, so frustrating!